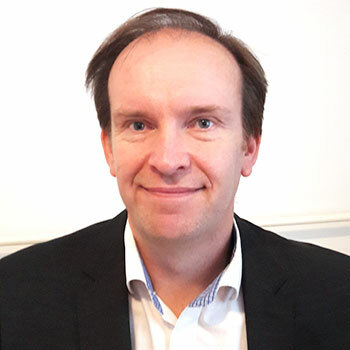 Jussi Haikarainen has been involved in drug delivery device development since 1997. Early in his career he has been responsible of current Easyhaler device development and industrialization at Orion Corporation. Jussi worked for Sanofi 2004-2006 in Frankfurt am Main as project manager for SoloStar insulin pen for development, industrialization and regulatory approvals phases. Since 2007 he has worked at Orion as CMC leader on budesonide/formoterol Easyhaler development and salmeterol/fluticasone Easyhaler at Orion having his team responsible of device, formulation and analytical method development as well module 3 of the marketing authorization dossiers. His educational background is M.Sc. in materials science. Jussi participated in authoring the Aerosol drug delivery device design verification standard (ISO 20072) as expert of Finland. For leisure Jussi is a registered doctoral student as well as self-taught handyman, for recreation Jussi plays ice hockey, does downhill skiing & is also an active water sportsman. CASE STUDY: Integration of drug and device: combination product mindset.